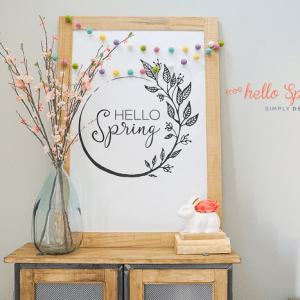 In spite of the ridiculously short winter and unseasonably warm weather we have been having, I am anxious for spring to come! 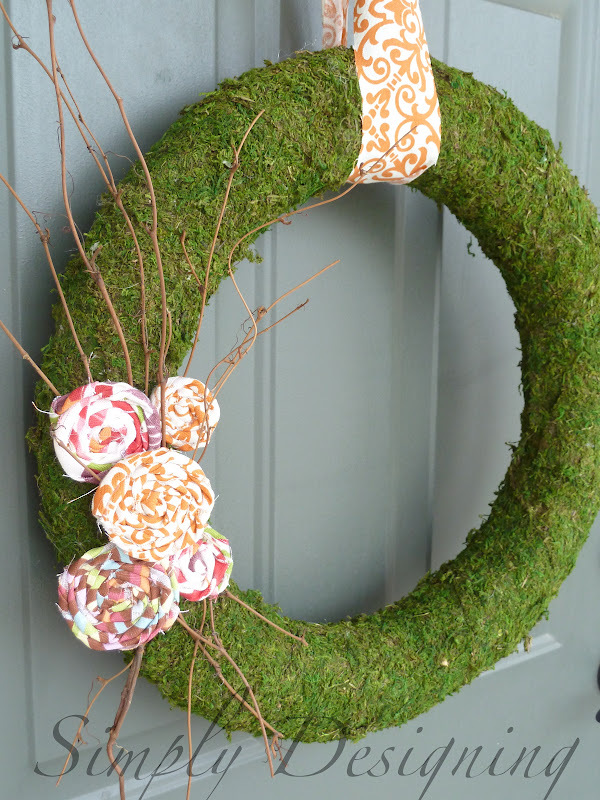 So I brought out my glue gun, some sheet moss and a dusty wreath form I had hiding in my closet and got to work creating a cute Spring Wreath for my front door. 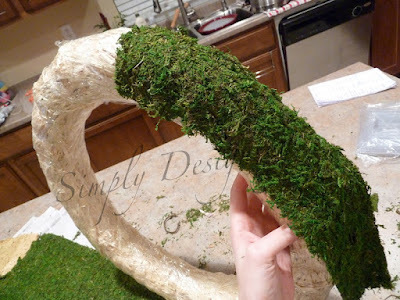 It’s pretty simple, you’ll just cut your sheet moss into strips and hot glue the sheet moss to the wreath. Either way works. The first way takes a little more moss because you are forced to cover all sides of the wreath whereas with the second method you don’t have to cover the back. 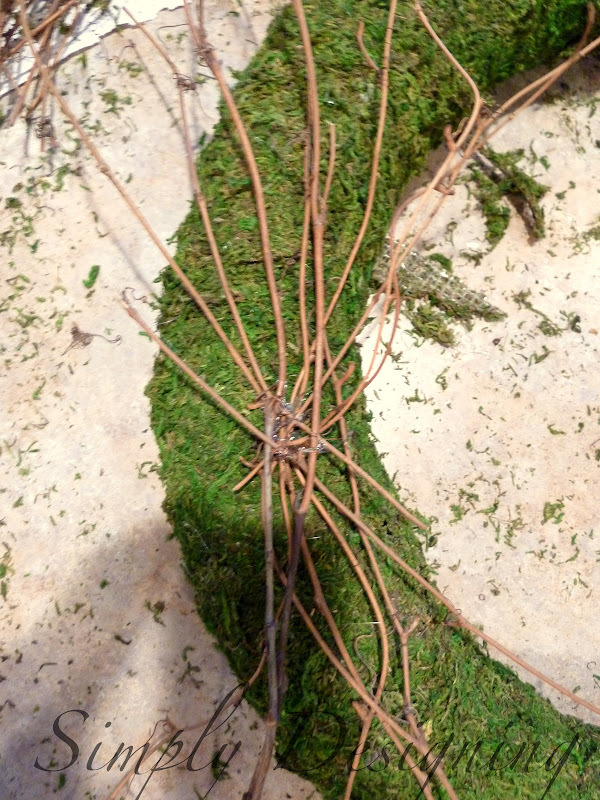 However, you see less “seam” lines with the first method. The first method definitely takes longer though. So. Ya know. Take your pick but either way works! 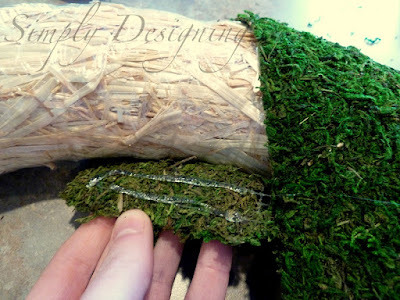 Use your hot glue to attach your sticks or any other embellishments that you like. And if you’d like, make a few flower rosettes to add to your wreath. To make flower rosettes you will want to cut a few strips of fabric (cotton or duck cloth works well) about an inch wide. 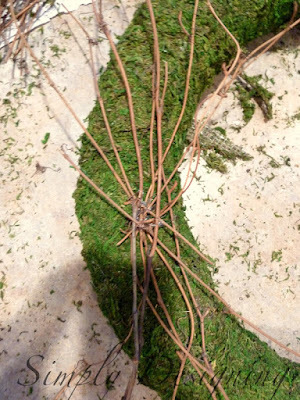 Tie a knot in one end. 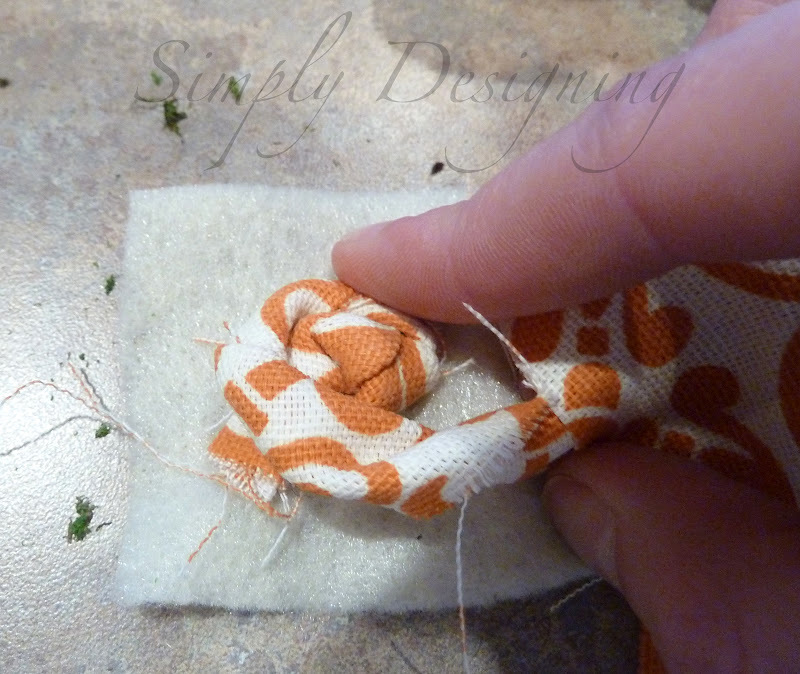 Glue the knot onto another piece of fabric or felt. 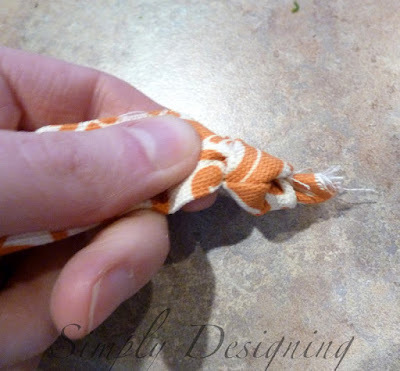 Then twist the fabric strip and wrap around the knot. Glue the fabric down occasionally so that it will hold. Keep wrapping until your rosette is as large as you want. 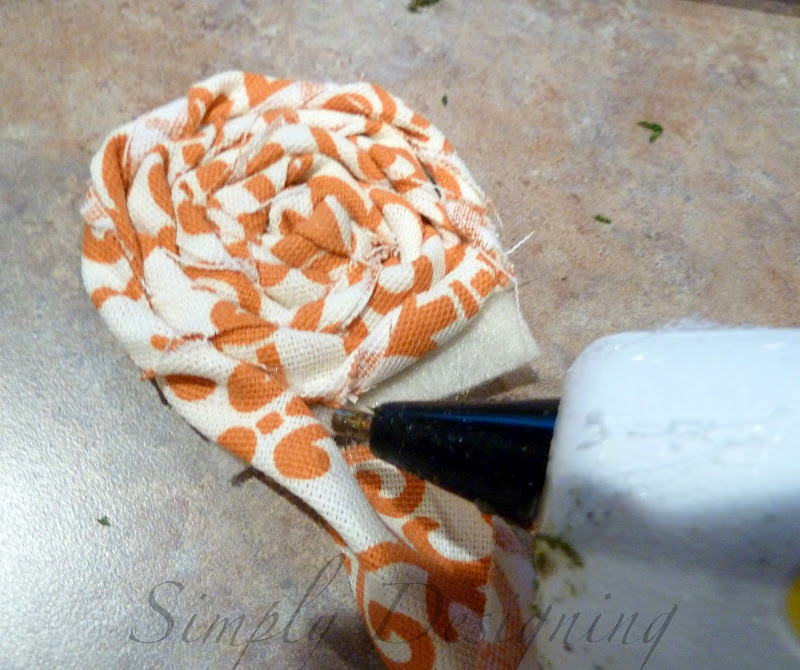 Then use hot glue to tack the fabric end underneath the rosette. 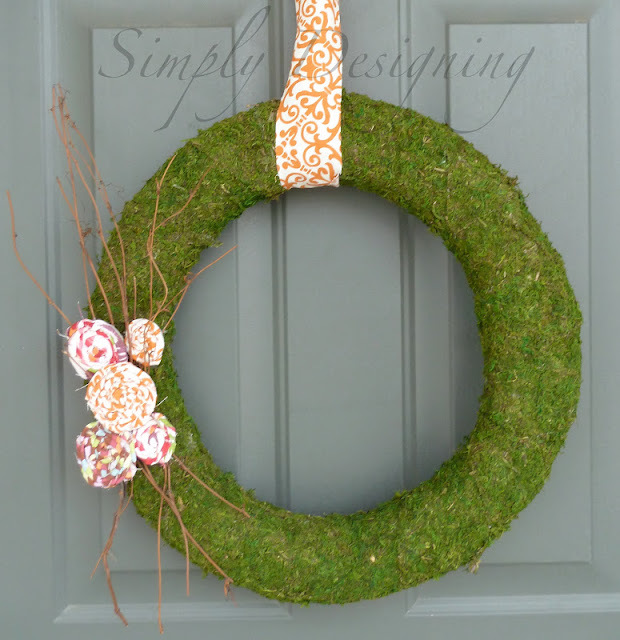 Attach to your wreath and enjoy! 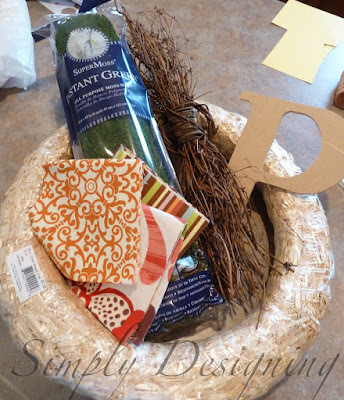 My wreath was inspired by this. where is the cheapest place to get the moss? does it hold it&#39;s green color for a long time? 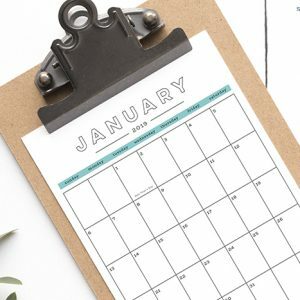 This looks great and super easy! 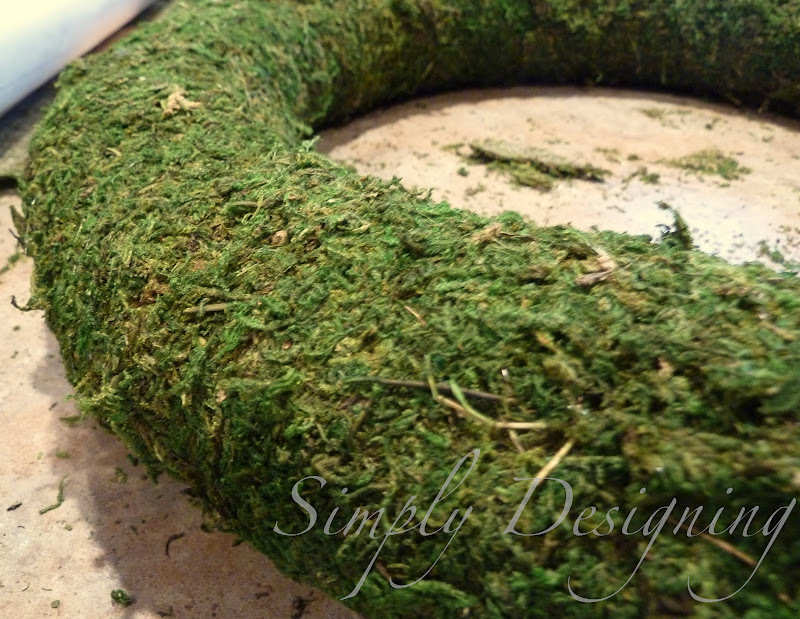 I recently bought a big roll of moss for some projects.